When tax time comes, you won’t spend hours sorting through a pile of crumpled receipts wondering whether that $13 parking charge was for a client meeting or a date. You won’t miss any valuable tax write-offs. You’ll know exactly where your money is going every month—so you can cut spending where it’s getting out of hand. Sorting receipts is no fun. 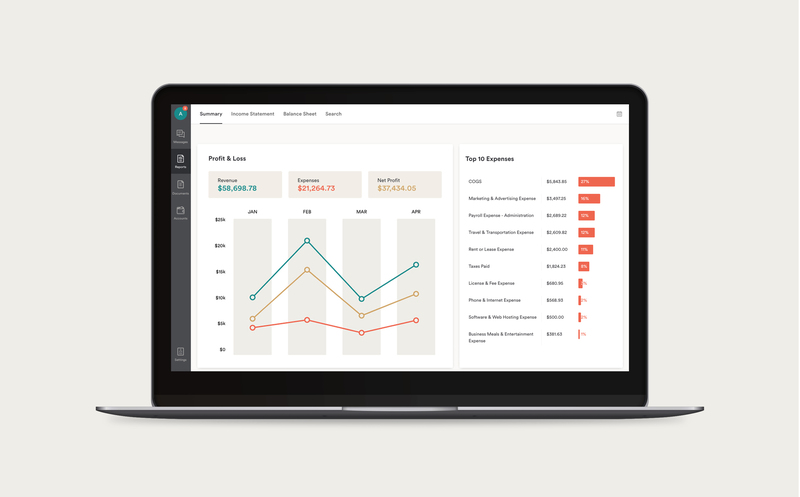 But the right expense tracker simplifies the process down to a minute or two each day. So in the name of money mastery, we’ve assembled a list of our favourite expense trackers to get you tracking. 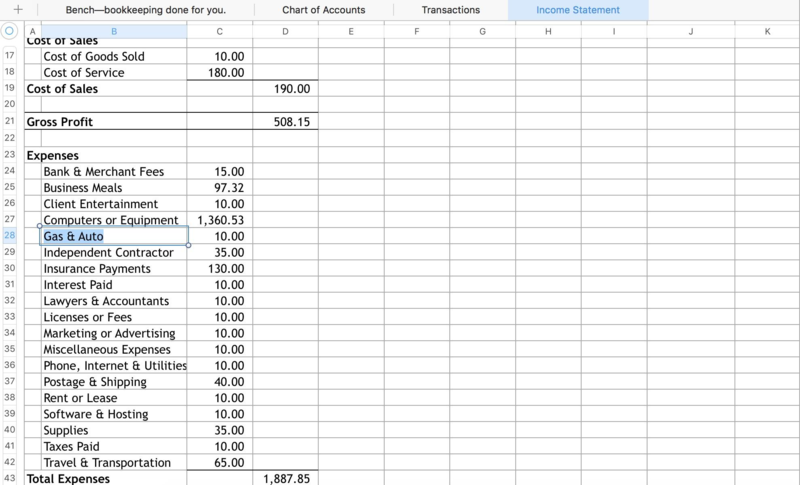 Excel spreadsheets are the tried and true method of tracking your expenses (for free). You don’t have to overthink it. Just find a good bookkeeping Excel template and enter all your expenses at least once a week. The great thing about Excel is, once you’ve entered all your transactions, you can generate reports and start getting insights about what those numbers mean. For example, if you use the Bench Income Statement template, your transactions will turn into a handy income statement sheet, showing your profit and loss over a certain period. A well-known free option for personal money management, Mint is also a simple tool for smaller businesses to track where money is going. 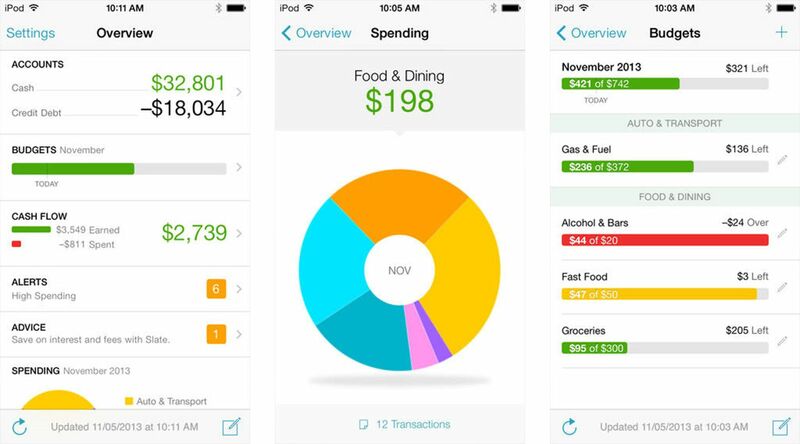 It lets you create budgets and goals within the app, and track your credit score. You can access all of this data through an easy-to-read dashboard, so you know your standing at any time. Make it even easier: set up alerts for bill reminders, large purchases and more, so you’re really in the loop with your finances. 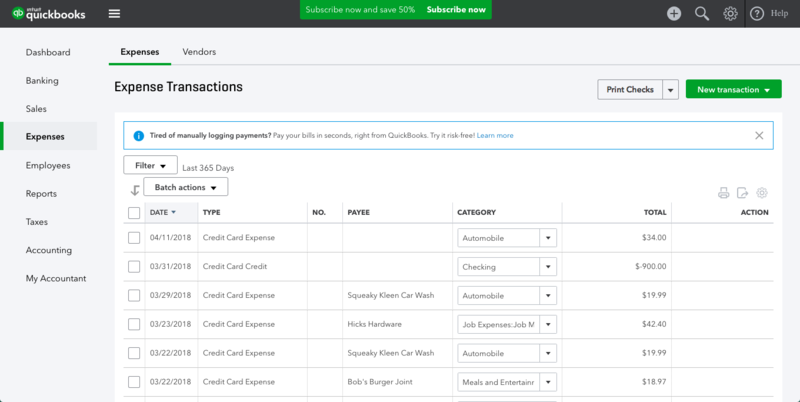 QuickBooks has way more features than the other expense trackers in this list. It also requires the most knowledge, time, and effort to make it work. Essentially, you can use QuickBooks to handle all your finances. 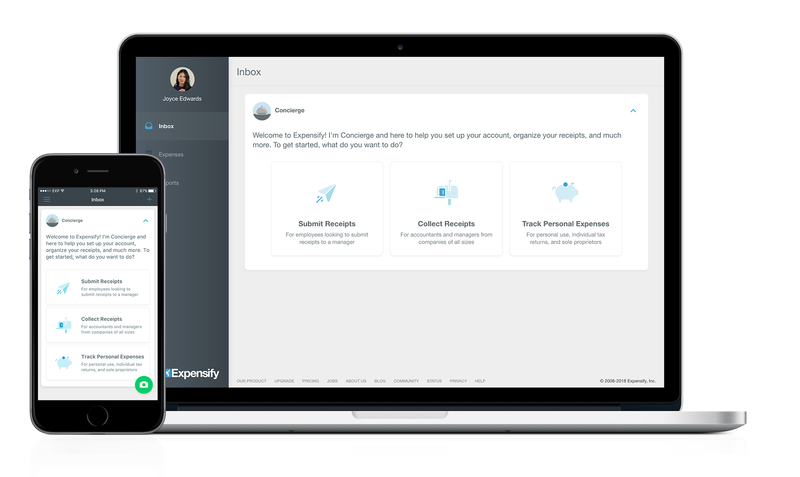 Run payroll, accept online payments, track bills and expenses and manage all of your taxes. Unfamiliar with accounting, or don’t have several hours a week to spare? You’ll probably find QuickBooks frustrating. But if you’re a QuickBooks pro, or have a dedicated admin employee who’s willing to learn, you can get a lot of value out of it. To make it simple, you (and the rest of your growing team) can scan your receipts with your phone and load them into the mobile app for receipt management. Reconcile them at the end of the month, tracking any sales tax paid on your purchases so that amount comes off any sales tax you owe. In the name of avoiding daunting spreadsheets, FreshBooks lets you to easily input your expenses through their desktop app or mobile app. It has a super simple interface, and basic reporting so you can see where your profit and loss stand at a glance. It syncs with your bank account every day, automatically pulling in the most recent expenses from your credit card and/or bank account—you just need to reconcile them and add photos of your receipts. If you work remotely, or regularly have meetings in different parts of the world, you know post-trip expense tracking is a nightmare. Using Expensify means you can stop stuffing receipts into your luggage while you’re on the go. Snap pictures of your paper receipts, submit and be done with them. This app also automatically imports receipts from Uber, Airbnb and more. Racking up the company card? Import those expenses directly from your card, so you don’t have to go through your statements at the end of each trip. 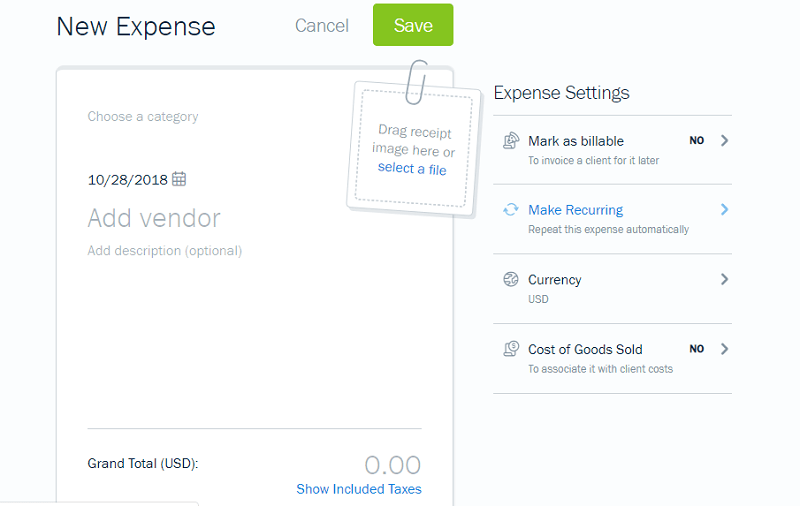 Extra convenient: Expensify automatically converts to any currency and it integrates with most accounting software. Two worthy Expensify alternatives: Receipt Bank and Shoeboxed. If all you’re looking for is an app to scan, upload, and store receipts, these two are great options. Is money management really not your thing? Bench can take it off your hands. We take care of all your bookkeeping for you, importing, reviewing, and categorizing your expenses every month. You can even upload all of your receipts and store them in the Bench app, with no storage limits. On top of expense management, we’ll send you financial reports monthly so you can understand your finances better than ever. Then at tax time, we work with your accountant to deliver all the financial info they need to file your taxes. Receipts filling up your pockets? Step 1: Pick one of the above options. Step 2: Turn your pockets and file folders inside out and scan/upload all your receipts. Step 3: Wash your hands of them and throw your receipt shoebox away. Step 4: Relax. Look forward to a slightly less stressful tax season. And remember, when your expenses are tracked, you’re on the road to good bookkeeping and mastering your small business finances.